Opened in 2000. Newly renovated in 2014. The Zhejiang New Century Hotel (Zhejiang Xin Shiji Dajiudian) is located close to West Lake, Wuling business area and downtown Hangzhou. 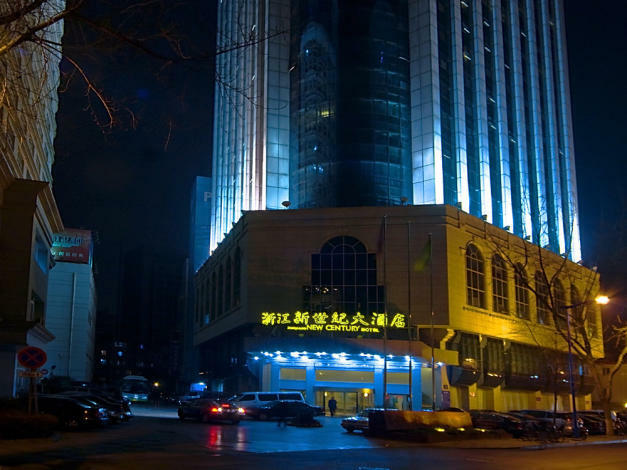 This Hangzhou hotel offers various types such as suites, single, standard and queen rooms. Dining options include cuisine from Northern and Southern China, with Hangzhou cuisine as its specialty. There are also 15 variously sized conference rooms to meet the needs of business travelers. -12 km to South Bus Station.